Transcranial direct current stimulation, known as tDCS, will be familiar to anyone who has followed the brain zapping, mood altering wearables like the Thync Relax Pro we've seen over the past few years. Now Swedish health tech startup Flow Neuroscience believes that the technique is ready to go mainstream in the form of an affordable, medical grade brain stimulation headset paired with an AI-powered, app therapy program. The aim? To treat depression. Set to launch in Europe in early 2019, Flow will cost around $499 and is designed to be used to reduce the effects of acute depression over an initial period of six weeks, with a follow up phase after that. The app includes guidance and tasks around how best to eat, sleep, exercise and meditate to combat depression, based on well established behavioural activation techniques. "By doing this about 30 minutes a day, 18 sessions during a six week period – it’s spread out – you can get a reduction in depression roughly equivalent to antidepressant medication," says Daniel Mansson, Flow Neuroscience's CEO and a clinical psychologist. "The big thing about this technology is that you get fewer and less severe side effects than with, for example, the newest forms of antidepressant medication." In 2017, New Scientist reported on a meta-analysis of tDCS studies (all placebo controlled and with 10+ participants) which concluded that the treatment can reliably improve symptoms of depression as well as addiction and fibromyalgia. It sends a weak electrical current across the left side of the brain in order to stimulate brain tissue and researchers have claimed this kind of brain stimulation could have incredible benefits, including speeding up recovery after strokes and accelerating learning performance. There are now 100+ studies demonstrating the safety and effectiveness of tDCS. That said, critics of tDCS point to the lack of large scale trials, as many of the high standard trials have less than 25 participants, and an earlier, 2015 analysis of research at the University of Melbourne which found tDCS has no consistent physical effect. There is also a lot of speculation on placebo effects and accounts of a handful of cases in which patients have experienced an episode of rage following the treatment. These debates make it all the more interesting that Flow Neuroscience is very intentionally going the regulated, medical device route rather than building and marketing this as a wellness device. Its lead investor is Khosla Ventures, which also invested in Thync (which has pivoted to psoriasis treatment) on the wellbeing side. Its partners also include SOSV, Hax and Johnson & Johnson with another investment round planned for January. The University of Sao Paolo's Dr Andre Brunoni, author of another tDCS analysis published in the British Journal of Psychiatry which found the 34% response comparable to antidepressant drugs, is on Flow Neuroscience's advisory board. And Mansson says that the dose – 2 milliamperes – and the precise positioning of the wireless Flow headset are directly modelled on Brunoni's research. It will also use AR face recognition to help users fit the headset correctly at home. 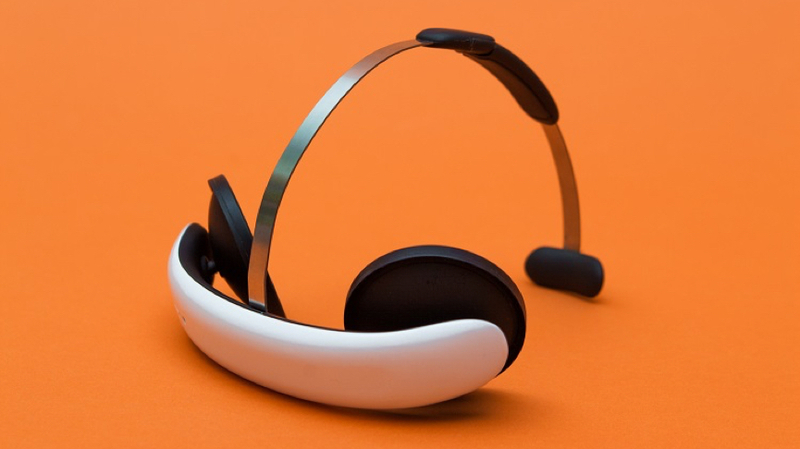 The startup is working with the British Standards Institute and has spent the past 18 months submitting research literature and its own usability and safety tests to the European Commission as part of the process of becoming certified as a medical device – until it's certified, Flow can't put the headset on anyone's head as a medical treatment device. And just to be clear, we haven't tried the device out ourselves. "We are going for depression, we make sure it ends up in the right position, we make sure it’s a medical device, meaning it’s safe and we’re also delivering a specific protocol meaning we control the dosage of the stimulation," says Mansson. With more than 300 million worldwide suffering from depression, Mansson's aim isn't to replace medication – Big Pharma has done "an amazing job" in helping people – but to offer a new treatment that's based on this technology. Talk therapy, for instance, is expensive and not accessible for everyone. Another reason people might be tempted to look beyond pills are the inevitable side effects. "There are always side effects with every kind of treatment I think, even psychological treatment," says Mansson. "There will be an exhaustive list of side effects published on the website. To give an example, they would include redness in the skin underneath the electrodes, when you stimulate for a while and you remove the device. This goes away normally within 30 minutes, for some people it can take a couple of hours if you have sensitive skin. It could also be mild headaches which will also go away." As ever when talking about mental health, the benefits for people's physical health are worth considering too. "We have an enormous opportunity to get anonymised, behavioural data from this particular group of people," says Mansson. "Such a large group of people are depressed and it affects other kinds of diseases. So for example we have seen that if you have depression you have a harder time quitting smoking. If you have depression, you have a harder time following your prescription medicine when it comes to diabetes. What we’re seeing is if you can go in and treat depression, you can also get great effects on other kinds of diseases. The data coming in from our initial users could also be very helpful in other fields." Flow Neuroscience is aiming to send out initial units to a small group of customers by the end of 2018 or January 2019, with a wider launch in Europe in early 2019. It's also working on plans for further studies with a "large, private mental healthcare provider" in the UK. If you're interested, you can sign up to its pre-order mailing list here.